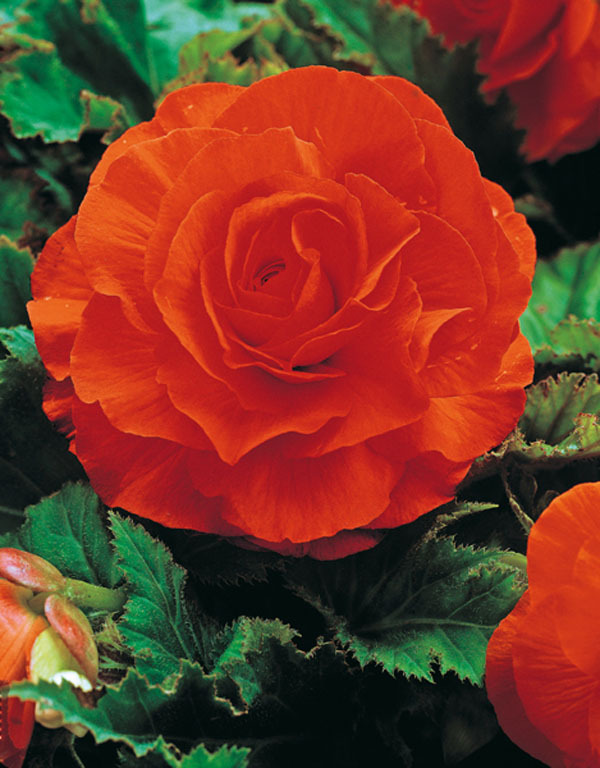 Belgium Begonias, Double Camelia Begonias These are the highly sought after super showy tuberous Begonias, Belgium Begonias are the joy of shade gardeners the world over. They will tolerate morning and intermittent sun, direct afternoon sun may lead to scorching, Blooms are double, and are available in intensely saturated hues of orange, pink, red, white and yellow, Whether in a container, or front and center in the border you and every other person within line-of-sight will be drawn to their presence. 2 5/6 tuber/pkg.